We all have secret lives. And we are all pretty good at keeping them secret. With simplicity and great beauty, Currawalli Street reveals the echoes between past and present through the story of one ordinary street and its families, from the pre-war innocence of early 1914 to the painful and grim consequences of the Vietnam War. In 1914, Thomas, the young rector, questions his faith and falls in love; his sister Janet, a dutiful spinster, hides a surprising secret; and their neighbour, Rose, is burdened with visions of the coming hell. In 1972, Jim, a soldier fresh from Vietnam, returns home to Currawalli Street to find that death has a way of seeping in everywhere; Patrick, looked after by his elderly wife, Mary, can't relinquish his former identity; and always there is the boy up in the tree, watching them all and keeping note. In only three short generations, working horses and wagons are lost to cars, wood-fired ovens are replaced with electric stoves, and the lessons learned at such cost in the Great War seem forgotten. But despite all the changes, the essential human things remain: there will always be families and friends reaching out for connection; people will always have secrets to keep hidden from view; and desire and love are as inevitable as war and violence. 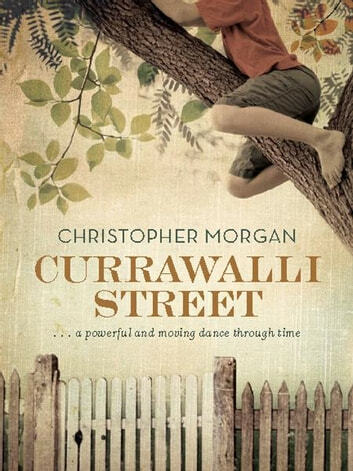 Deep, rich and satisfying, Currawalli Street links families and neighbours, their lovers and friends, in a powerful and moving dance through time.